" To Stacey, Norman, Fred,Tammy and to his children So sorry..."
"Like our Facebook messenger chats. Still have them to. To..."
"Fred and family so sorry to hear about your brother. 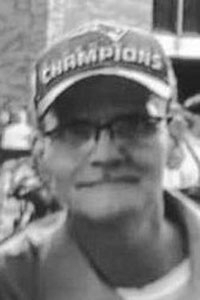 May..."
"Im going to miss our conversations on the phone and our..."
"~Your Life Was A Blessing, Your Memory A Treasure... You..."
OLD ORCHARD BEACH - Curtis Walter McKenney, 56, passed away at his home, in Old Orchard Beach on Wednesday Feb. 6, 2019. Curt was born Jan. 29, 1963, in Portland, to Barbara Humiston and Everett McKenney.Curt was a devoted Patriots fan. He enjoyed going to and watching games and also collecting memorabilia. Most of all, Curt loved spending time with his family. Curt enjoyed helping people, whether they needed money or a place to stay, or emotional support. Curt is survived by brothers, Norman McKenney, Fred McKenney, sisters, Tammy McKenney and Stacey Yankowsky; his daughters, Sheena Hall, Barbara McKenney, Sherry McKenney, Kayla McKenney; many grandchildren; nieces and nephews. Curt was predeceased by his parents; brother, Scott McKenney; son, Curtis Jr.; girlfriend, Valerie Decesaro. A graveside service will be held in the spring at Brooklawn Cemetary.